SHOW YOUR SUPPORT, CLICK ON IMAGE ABOVE TO DOWNLOAD a PDF sign that you can print, trim and bring with you to the City Council Meeting. Show your support, come to City Hall this Tuesday, April 10! 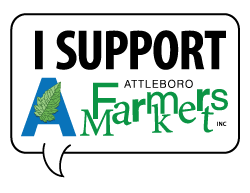 Please come to City Hall and support the Attleboro Farmers Market, 7 p.m. this Tuesday night. This is not a public hearing. We would like a show of support at the meeting. Bring your own “Voice-Balloon” sign, just right-click on the image to the right and download the PDF file. Print it, trim it and bring to the meeting. If you cannot attend please call your City Councilor and support the Attleboro Farmers Market, Inc. and watch the Council meeting on Attleboro Local TV Channel 98.
a. No parking is allowed in the 74 North Main Street parking lot. b. 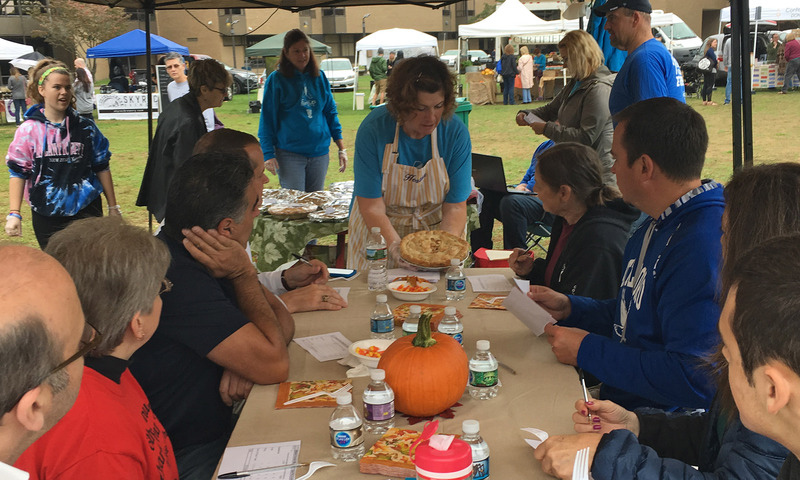 The Attleboro Farmer’s Market is required to provide and pay for a police officer and or/auxiliary police officer to be on duty to cross patrons while the market is in operation. c. The Attleboro Farmer’s Market is to be contained in the square as depicted on the plan entitled Plan “A” June 2, 2012 to September 1, 2012 and is to maintain the “fire lane” and not impede on the deeded library spaces. All vendors’ tables/booths are to face toward the inside of the designated square so as not to interfere with the flow of traffic relative to the adjacent auto body shop. d. The total number of vendors to participate at the market on any given Saturday shall not exceed thirty (30) vendors. e. The Attleboro Farmer’s Market is responsible for the clean up of the 74 North Main Street parking lot following each Saturday market. f. There is a mutual understanding between the Attleboro Municipal Council, the Library Board of Trustees and the Attleboro Farmers’ Market that calendar year 2012 will be the last and final year in which the Attleboro Farmers’ Market will utilize the venue of the Attleboro Municipal Parking Lot located at 74 North Main Street. a. The Attleboro Farmer’s Market is not allowed to operate on the Saturday of the annual Friends of the Attleboro Public Library Book sale. b. No parking is allowed for Attleboro Farmer’s Market patrons in the 74 North Main Street Parking lot. c. The Attleboro Farmer’s Market is required to provide and pay for a police officer and or/auxiliary police officer to be on duty to cross patrons and oversee parking for Library patrons while the market is in operation. d. The Attleboro Farmer’s Market must be contained in the “L” shape as depicted on Amended Plan B. All vendor’s tables/and or booths must face towards the center of the “L” space so that the entire market is contained within this space. e. A temporary sign, “Open Today from 8 a.m. to 12 noon” is to be provided by the Attleboro Farmer’s Market and located at the entrance to the Farmer’s Market on North Main Street as depicted on Amended Plan “B”. f. A temporary sign “Attleboro Library Parking only” is to be erected by the Attleboro Farmer’s Market at the parking lot entrance. g. The total number of vendors to participate at the market on any given Saturday shall not exceed thirty (30) vendors. h. The Attleboro Farmer’s Market is responsible for the clean up of the 74 North Main Street parking lot following each Saturday market. Thinking of you, wishing I could be there. Hope to hear (good) news soon!! !